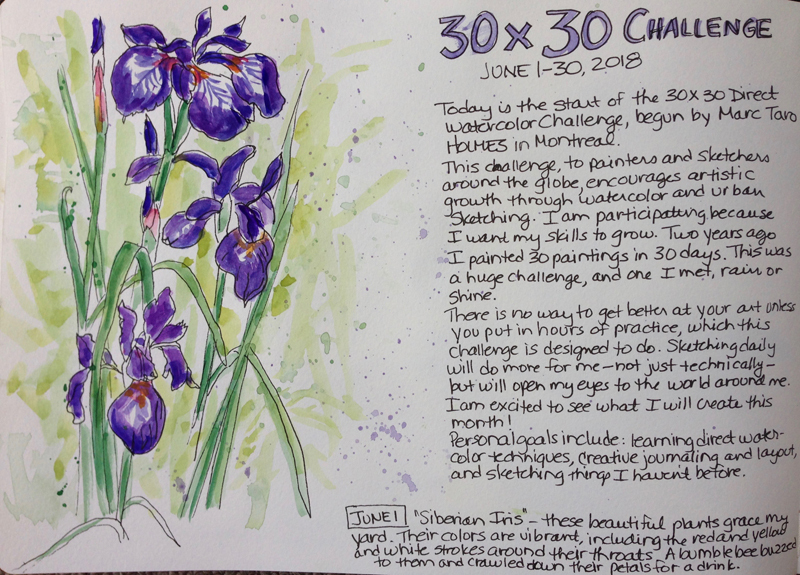 Today is Day #1 of the “30 x 30” Direct Watercolor Challenge, which you can read about in the image above. It will be fun to see what sketches I do during the month and how my journaling improves. I invite you to watch each day to see what new things are shared!